Medieval nobility clothing. Emperor Henry II. with bishop. Home » Medieval nobility clothing. Emperor Henry II. with bishop. Medieval nobility clothing. Emperor Henry II., 1000 A.C. Figure of Frankish King Henry II., 973-1024, called the saints and a Frankish bishop. 1004 Henry II. became king, and 1014 he was appointed emperor of the Holy Roman Empire. Crowned king of the Lombards in Italy. 1014 Henry II. 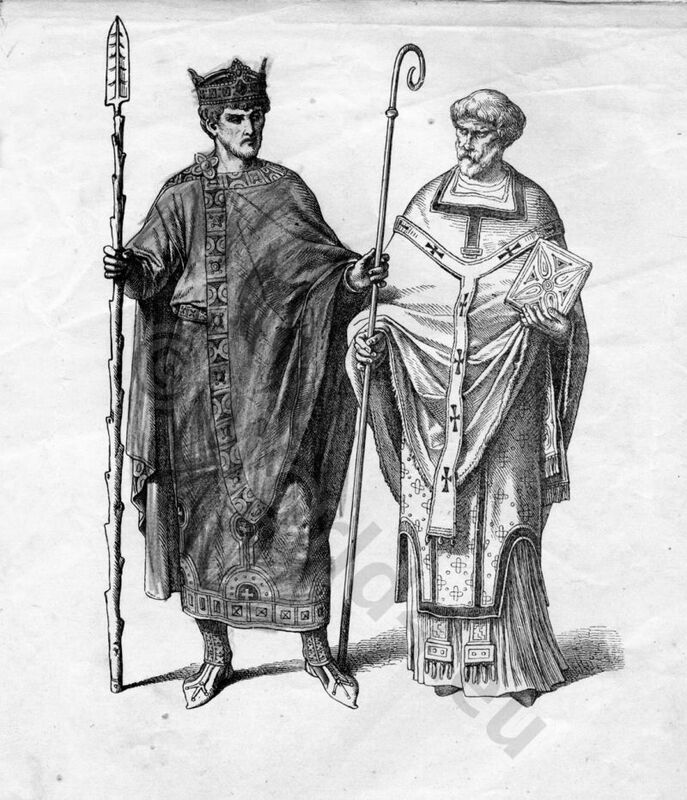 was crowned emperor by Pope Benedict. This entry was posted in 10th Century, Byzantine, Carolingian, Court dress, Ecclesiastical, Germany, Nobility and tagged Byzantine fashion era, Ecclesiastical Dress, Medieval costume on 3/19/13 by world4.